6-7 apples (see further step to find out how to precisely measure apples amount). Mix flour, sugar, (diced thinly) butter, salt and eggs in the mixing bowl and quickly mix everything. 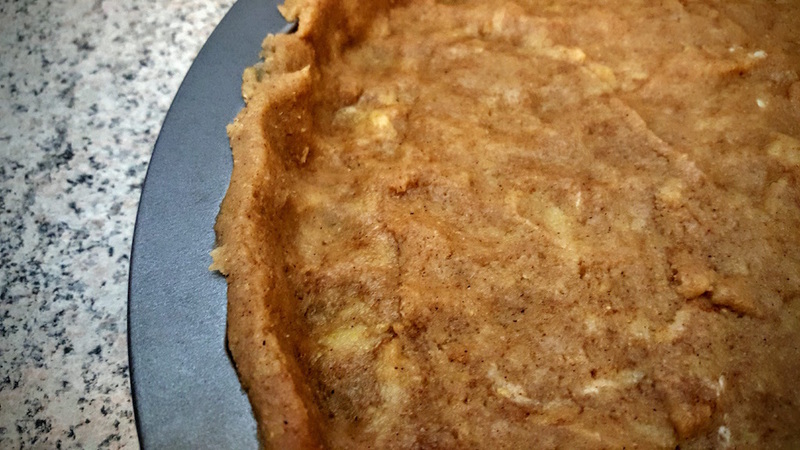 You don't need to mix butter very well, small chunks will make the tart crust more crisp and fluffy. Form into a ball, scrape-remove from the mixing bowl and pack into a plastic bag. Cool down in a fridge for at least 1 to 2 hours. 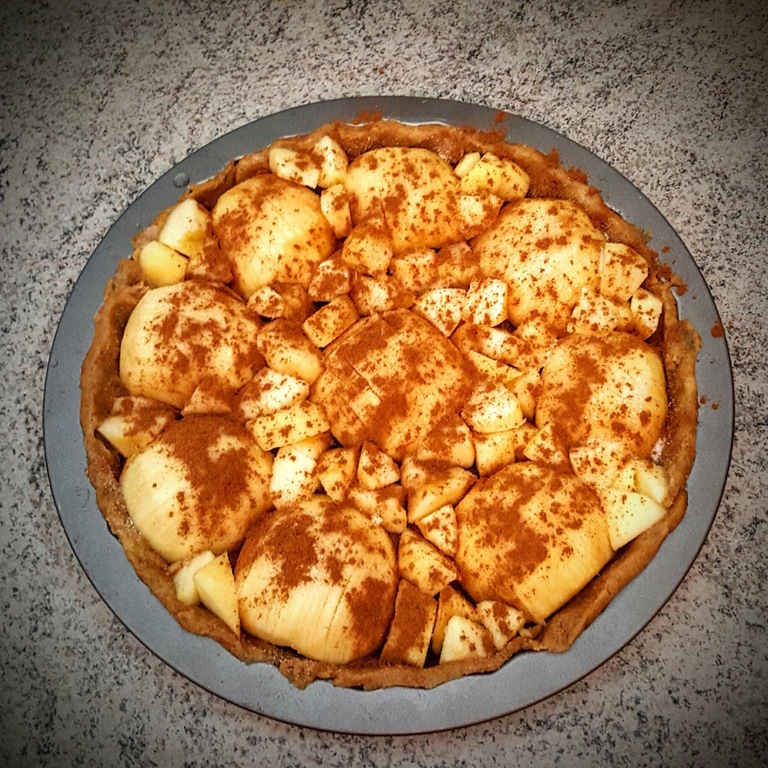 Set enough apples to cover at least half of the tart form (see the image), and then peel each one. Slice each apple in half and remove the core. Set aside in a bowl of water with a splash of lemon juice or vinegar, or just plain water. 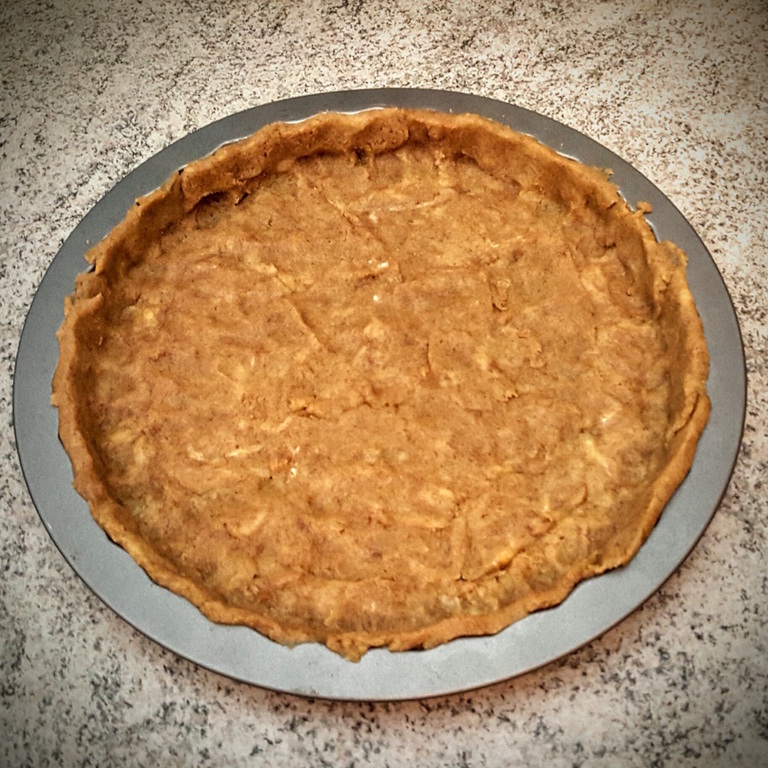 Take the dough from the fridge, unpack it, and slice by slice (around 5mm), cover the tart form. Usually you would roll the dough, but it's much easier to cut it into slices and just press inside the form. Start heating the oven to 180C. Take the first apple half, and by dropping the knife from about 5 cm, make shallow cuts from end to end. Then rotate the apple half and make the cuts again, leaving a lattice of shallow cuts. 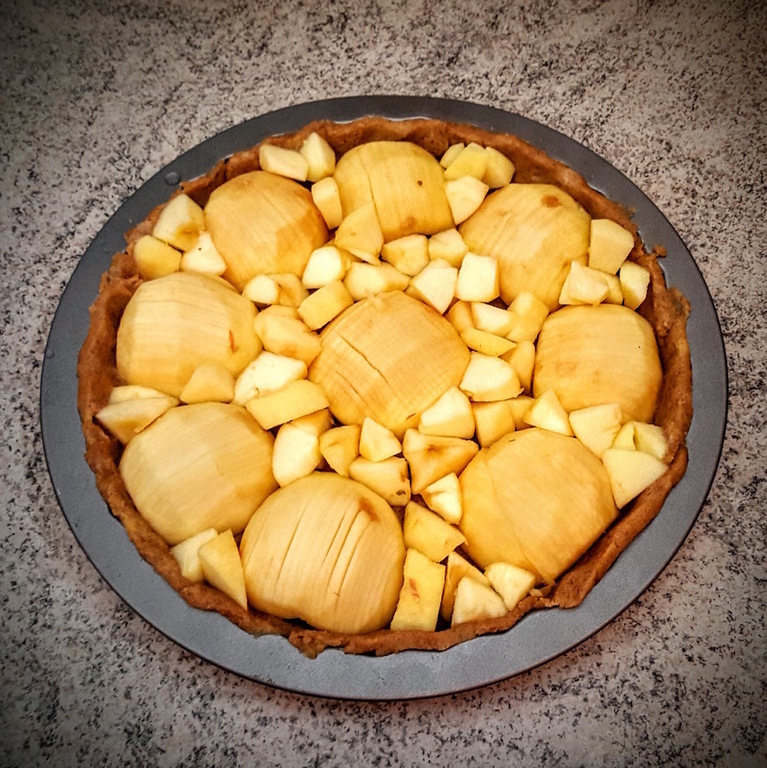 It required some practice, because you should aim for large amount of deep, parallel cuts, but you shouldn't separate the apple piece into pieces. 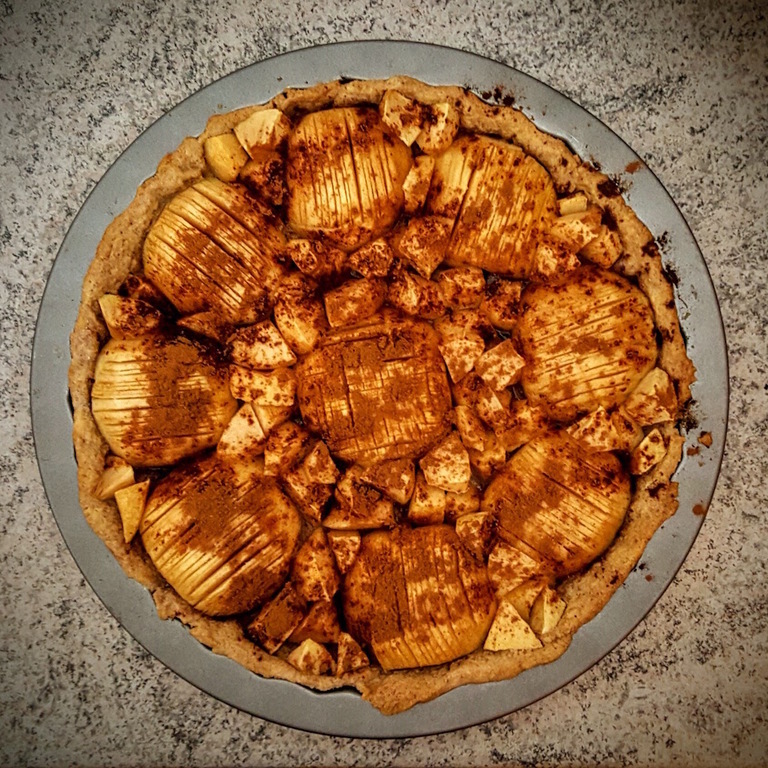 Place the first apple half in the center of the crust and press gently. 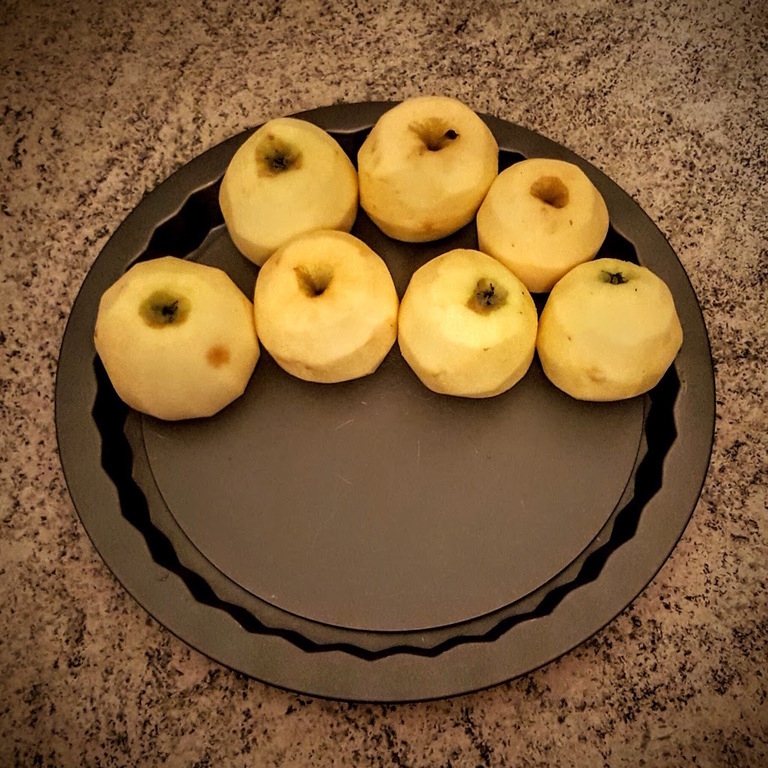 Using the shallow cuts, but only once per apple half, cut and place apple halves around the rim of the tart form (check picture to see how it should look). 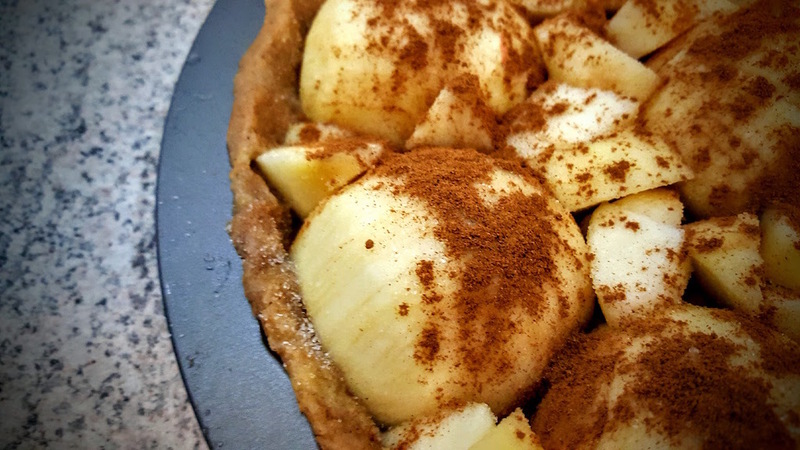 Fill remaining space in the crust with small apple bits, just dice the remaining apple halves into small chunks and lay holes with them. 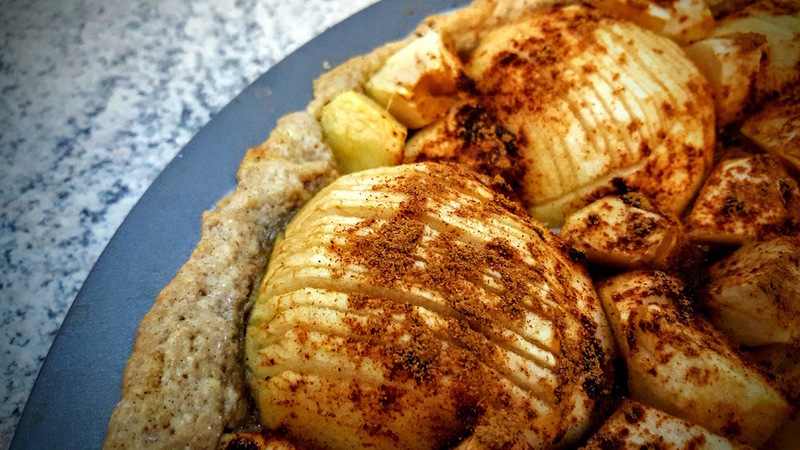 Sprinkle the apples with 2 spoons of sugar (or less, if you don't want it to be sweet) and cinnamon to taste. Bake the tart in 180C for 30 minutes. Check if it's completely baked (press the crust with a fork, it should be crispy and break off). 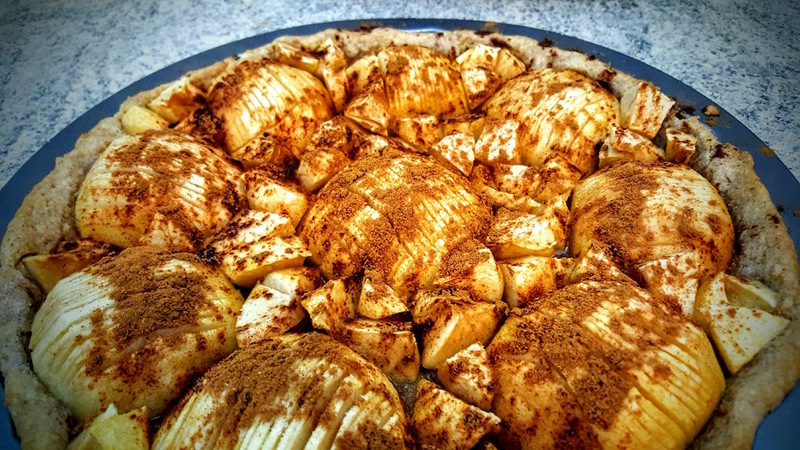 You can extend the baking time for up to 15 minutes, or turn off the oven and let the tart sit for that time to slowly cool down and let the apples dry, leaving a nice, ornamental shape of the cuts.